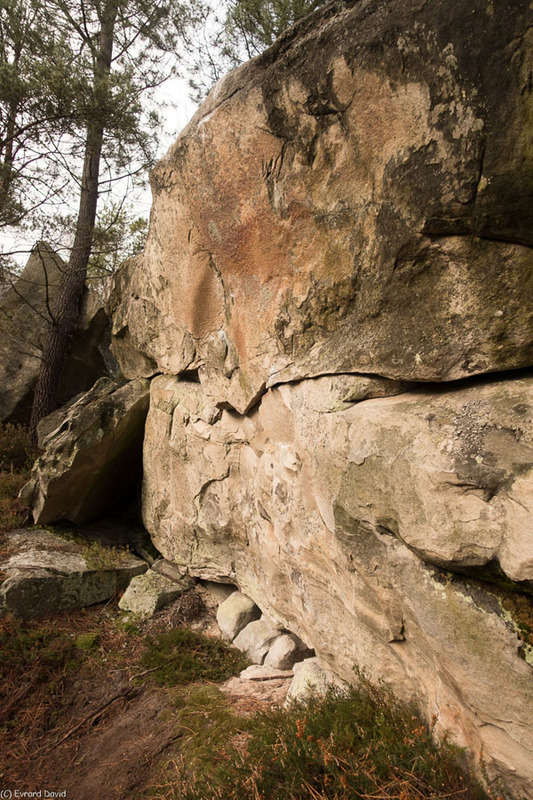 On an isolated boulder in the South face, in the Eastern part of the sector. Standing start wth underclings and exit with crimps and slopers. Access : Follow Le Chemin de Bois Rond up to the crossing with Le Chemin de l'Auberge and go up the GR to the left up to the crest. 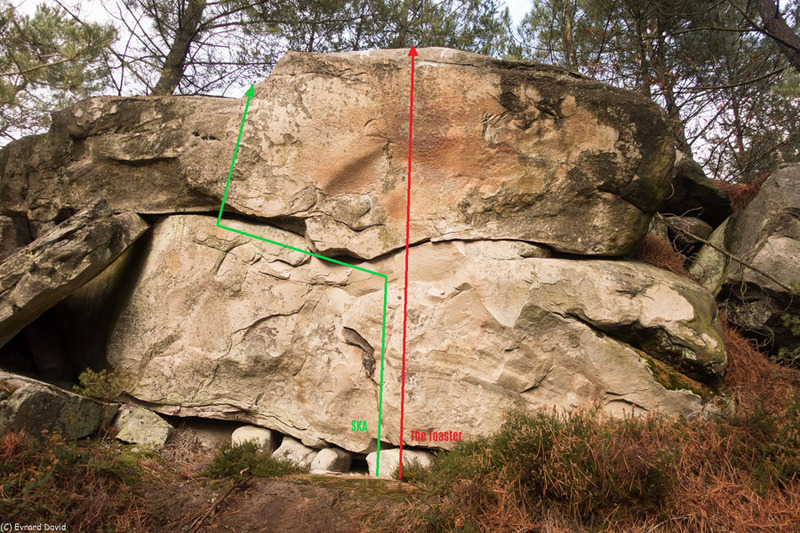 The boulder is100m to the West in the South slope, near a characteristic shelter roof.